The 30th edition of TD Toronto’s jazz festival has a Romanian connotation that will wear off your dancing shoes and leave you wanting for more music from that part of the world. Mark your calendars for Wednesday 29 June 2016 at The Opera House in Toronto! Ontario guitarist Adrian Raso live with Fanfare Ciocarlia – they play TD Toronto Jazz Fest on Wed 29 June 2016 at the Opera House. It’s the Fanfare Ciocarlia concert with local prodigy Adrian Raso. 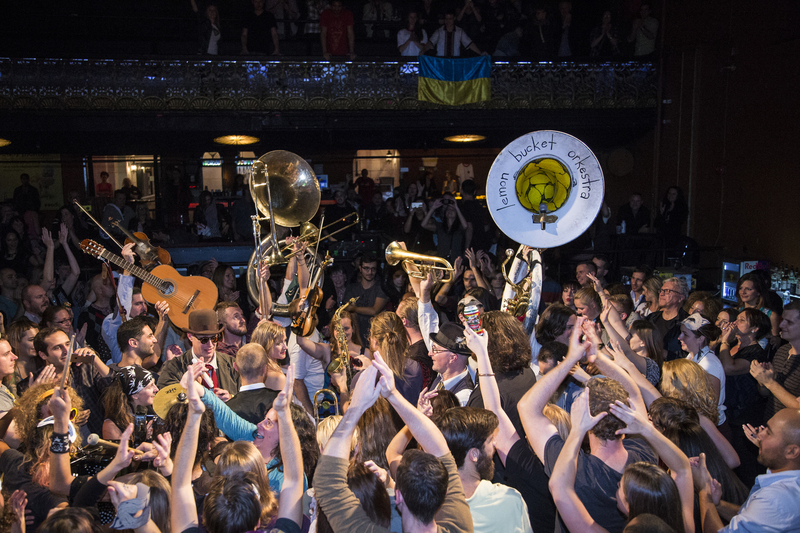 Opening is the partly-Romanian influenced, Canada’s only balkan-klezmer-gypsy-party-punk-super-band Lemon Bucket Orkestra. Lemon Bucket Orkestra live – dynamite! The Romanian gypsy band has a 2016 album (“onwards to mars!”) rocking the charts, while Lemon Bucket Orkestra has its Counting Sheep project returning by demand in Toronto during May 26 – June 5. (get tickets here). 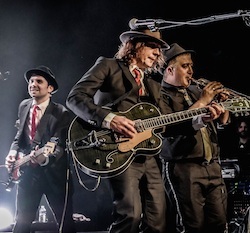 Adrian Raso toured with the Fanfare for the last two years following their highly acclaimed 2014 album, Devil’s Tale. Posted in English blog and tagged as Counting Sheep, Fanfare Ciocarlia, featured, festival, jazz, Lemon Bucket Orkestra, TD, Toronto.